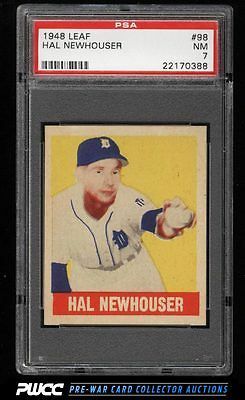 Among the toughest cards in the hobby to locate in high grade. A well respected rookie card which simply does not surface in grades higher than VG very often. A very pretty example, worthy of serious consideration. One of nearly 20,000 cards, lots, and sets up for bid in our 7th Auction of 2016. Click on the link above to view the other PWCC auction lots.